67 years old and 297mph! Pensioner’s attempt to reach 300mph sets new world-record but falls short of ultimate goal. Ralph Hudson has unofficially set a high speed milestone in the motorcycle world by topping 300 miles per hour on the world’s fastest sit-on bike. 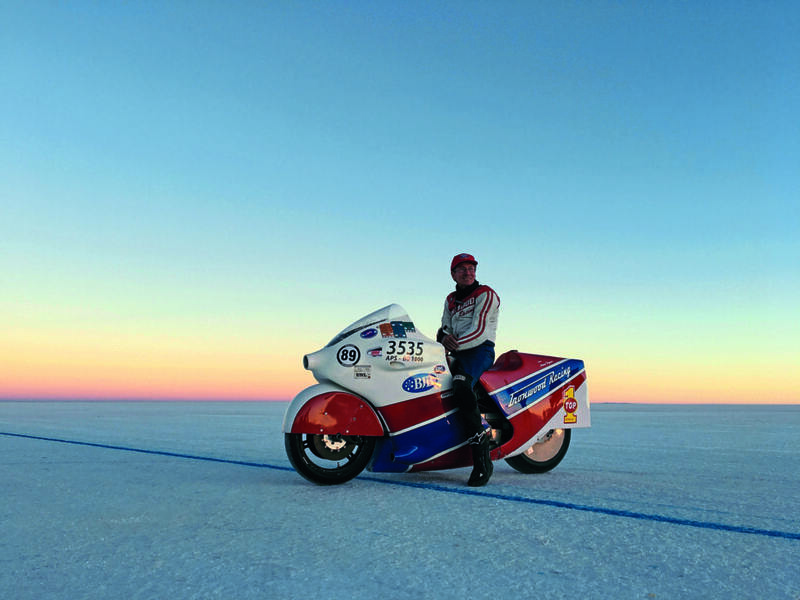 Hudson, 67, returned to Salar de Uyuni, Bolivia, in July for the Cook’s Top Oil Land Speed Shootout with one goal in mind: to break the 300mph barrier on his 1000cc bike and do something that no one has done before. Hudson’s return to the largest salt flats in the world comes one year after his record-breaking ride of 284.391mph. Over a period of just three days and clocking up ten runs during that time, Hudson succeeded in making his first one-way pass of over 300mph, with a quickest managed of 304mph – that’s the highest ever recorded by a sit-on motorcycle at an FIM event – but he couldn’t back it up with another strong pass to claim an FIM World Record of over 300mph. The rules to high speed runs state that to qualify for an official FIM World Record, an average of two one-mile runs had to equal 300mph or greater. As if getting so close to the magical triple tonne wasn’t enough of a bitter pill to swallow consider that Hudson’s new record of 297.970mph is an astonishing 13 miles per hour faster than the previous one set by him. “It’s great to have gone to 300 and to have it recognised, but I didn’t do two runs with an average over 300 and get an FIM World Record. To know that I have a bike that is capable, but not putting the two runs together is very disappointing. Salar de Uyuni’s elevation and world’s largest salt flat is usually an ideal location for reaching top speeds – usually. However, this year many riders experienced difficulties, including Hudson. The salt flat’s wet condition caused wheel spins effecting the traction of the bikes and strong wind conditions threw Hudson off course several times. Due to these rough conditions and Hudson pushing his motorcycle to the limit, his bike suffered significant damage, ending his record-setting week early. Despite the setbacks, Hudson’s journey is not over, and even at 67 years old he has no plans to slow down. 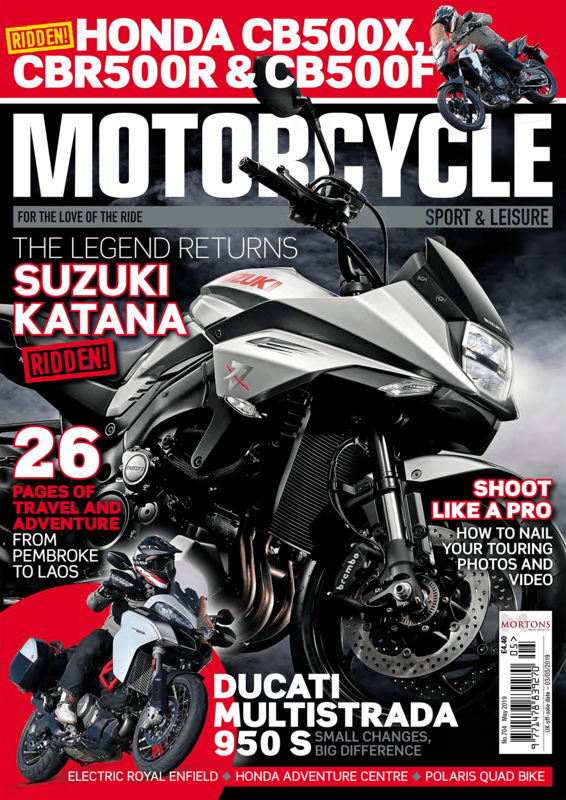 Expect more runs next year chasing the ultimate goal of surpassing 300mph on a sit-on motorcycle.